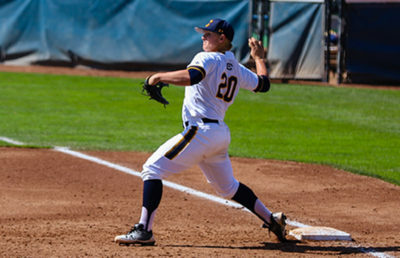 The Cal men’s baseball team spent its last midweek affair of the season at home, taking on a struggling BYU squad. In one of the most tightly contested games of the season, the Bears eked out a 1-0 win courtesy of a one-out walk-off double by sophomore Max Flower. 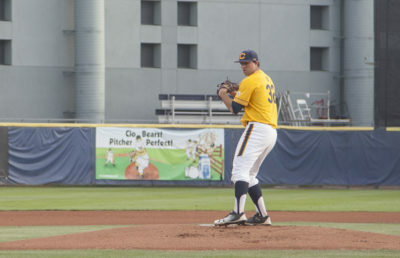 In its lowest-scoring game of the season, Cal’s pitching staff maintained excellence throughout the night. Head coach Mike Neu utilized a combination of pitchers to combat the Cougar offense consistently during the game. Junior Joey Matulovich, sophomore Arman Sabouri and senior Erik Martinez each threw two dominant innings, yielding a combined three hits to go along with four strikeouts. Freshman Carson Olson, senior Andrew Buckley and junior Tanner Dodson preserved the shutout to cap off a quality win for the Bears. Cal’s potent offense was stymied for much of the game after an excellent start from BYU junior Alex Perron, who threw 5.2 scoreless innings. The rest of the Cougar bullpen was equally effective in keeping the game knotted at zero until the ninth inning. In this final frame, junior Jeffrey Mitchell Jr. led off with a single to left field, putting runners in scoring position for the Bears. On a 1-2 count, Flower put the game to bed with a double to right center, bringing freshman Darren Baker in to home plate. Overall, Cal was able to earn a hard-fought 1-0 victory and get back to its winning ways. 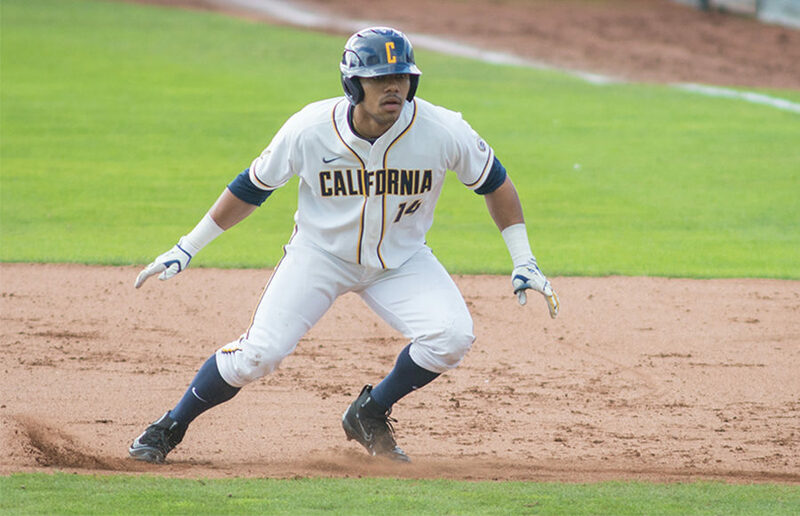 This weekend, Cal will begin a pivotal three-game series with Pac-12 South rival USC. 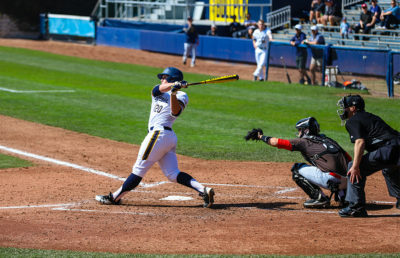 Traditionally a baseball powerhouse, the Trojans have struggled for much of this season, a fact exemplified by a 7-14 record thus far in conference play. USC is entering this matchup after losing six of its last seven games. Nevertheless, the Trojans will put up a fight in the homey confines of Dedeaux Field. The first game of the series, on Star Wars Day, will feature a strong pitching matchup between USC freshman Kyle Hurt and Cal senior Matt Ladrech. Ladrech has been strong in his recent string of games, going 6-0 in his last six starts. He’s been very effective at limiting big innings, only giving up five walks over that stretch. Saturday’s affair will feature a duel between Trojan junior Quentin Longrie and Bear sophomore Jared Horn. The series will wrap up Sunday as junior Solomon Bates takes the hill for USC against junior Aaron Shortridge. Sophomore stud Andrew Vaughn will attempt to add to his impressive campaign after a relatively quiet past weekend by his standards. The slugger still sits two home runs behind Arizona State freshman Spencer Torkelson for the most in the country. At this point in the season, this series is extremely important for the Bears. With postseason play fast approaching, Cal will want to do everything it can to make a lasting impression on NCAA selectors. The Bears, however, will look to take each game one at a time and focus on the task at hand.